Learning to forage is a way of naming the world. Little by little, what was once unknown becomes known, and as familiar as picking a loved one’s face out of a crowd. In the process, we become aware of what’s edible and, just as importantly, recognizing what’s not. While shopping at Maine Meat earlier this fall, co-owner Shannon showed me the satiny smooth chestnuts littering the ground around the tree out back. I scooped up a few to take home and, though tempting as these were to sample, I held off until friend John Forti could identify them. Much as these reminded me of ones I ate in Italy, these were horse chestnuts (Aesculus hippocastanum), inedible and to be avoided for the toxic saponins they contain. 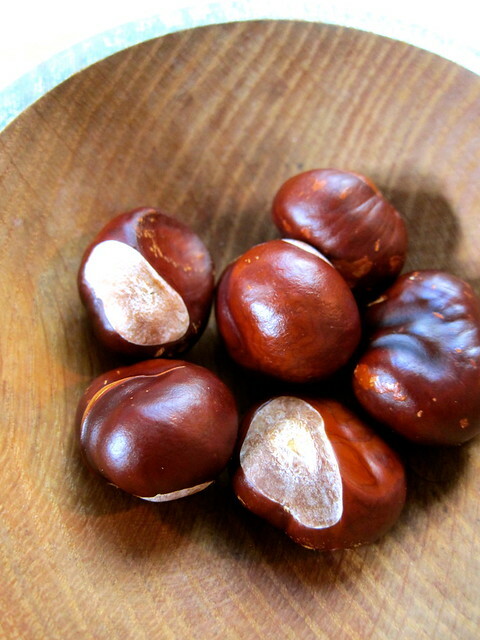 Telltale signs: The horse chestnut is rounded in shape with only one side flattened, and the absence of a pointed tip. 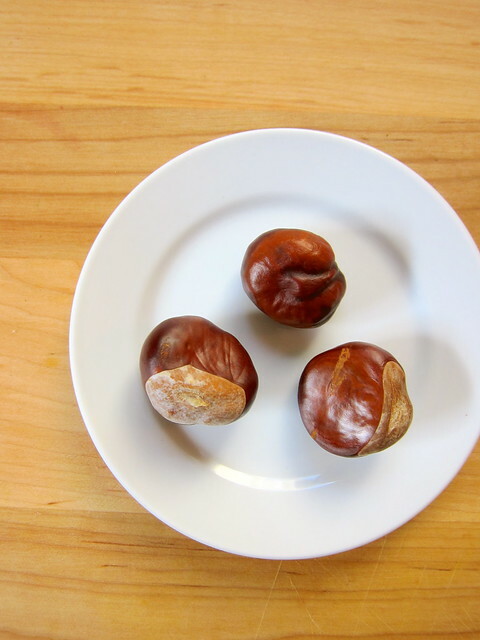 Though there are medicinal uses for the nut, leaves and bark, horse chestnuts are known to be especially toxic if eaten raw. I’ve read that slow cooking does render these safe to eat, if not perhaps exactly palatable — the meat will be bitter, in complete contrast to the edible sweet chestnut. 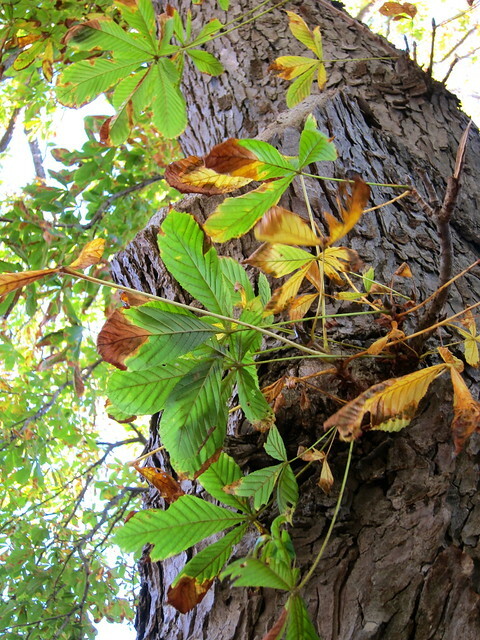 The leaves are another way to identify the horse chestnut, which are palmate, with three to seven leaflets fanned out in the shape of an open palm. Lastly, if the squirrels won’t eat them, neither should you. This entry was posted in local food and tagged chestnuts, foraging. Bookmark the permalink. Very interesting, so the tree we had in our back yard in Belgium was a Horse Chesnut, I recognize the leaves. We lived in the center of town, and it was the only large tree around. Once again appearances are deceiving and it’s difficult to tell the good guys from the bad. Wow, good to know. I have admired the flowers spikes of the large horse chestnuts you see around some of the Victorian houses here, but didn’t know they produced these nuts.